I think its sad I've never written about my faithful adventure-mobile before now. 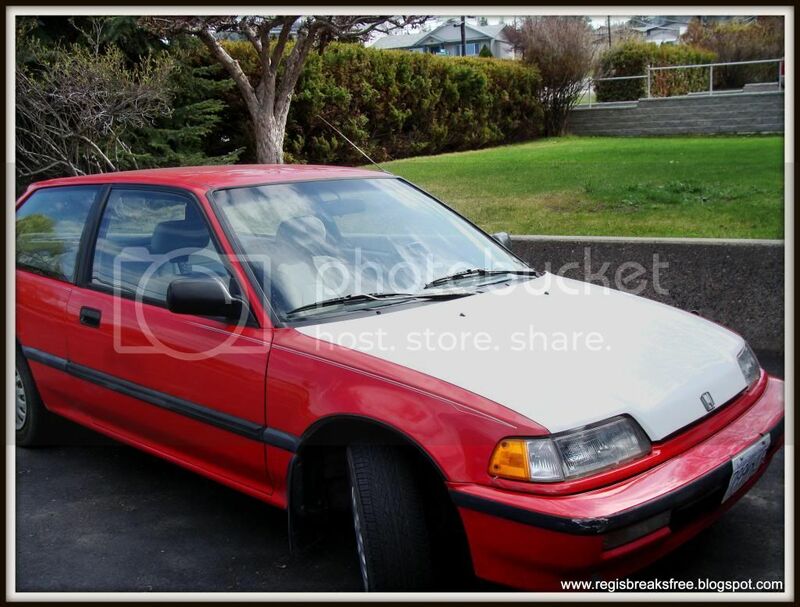 Allow me to introduce Peppy, a beauty of a 1990 Honda Civic, that I acquired in 2008. As my first car, he holds a special place in my heart. 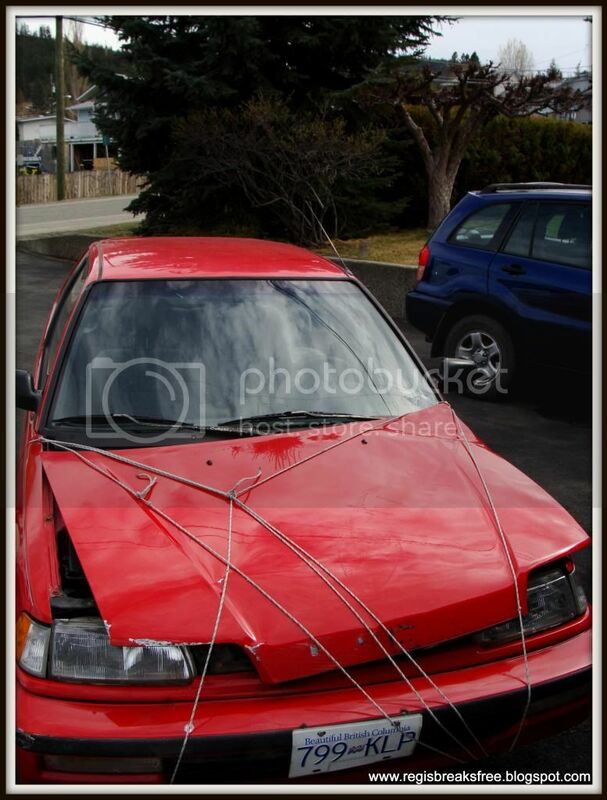 We have had many ups and downs, including blown head gaskets, sliding into snowy ditches, and hitting an unknown (small) creature at high speeds in the middle of the night that haunts me to this day (definitely not a person, don't worry). There were no red hoods to replace the broken one, so he got a white hood. That was ok. It gave him personality. Ok, so those were all bad times. But there were good times too. 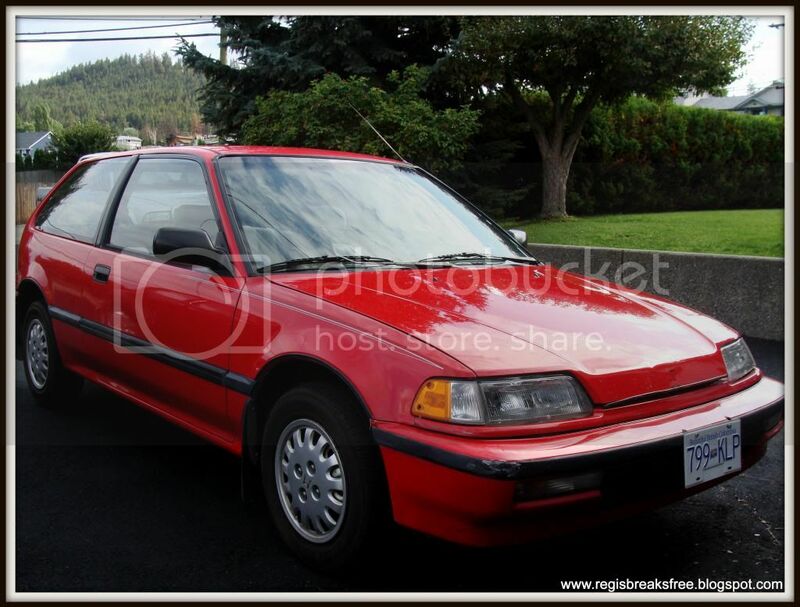 Especially the summer of '09, cruising in the island highway with my tunes blasting...or ripping down the old logging road to the Woodsman camp...or my first trip driving in Vancouver by myself...despite the fact that cars are horrendous money pits, I loved my little red Pepster. At the end of October, he suffered his last mishap. It wasn't even my fault. As I was driving to work, another car headed the opposite direction did not see me as they turned left...and smashed right into us. 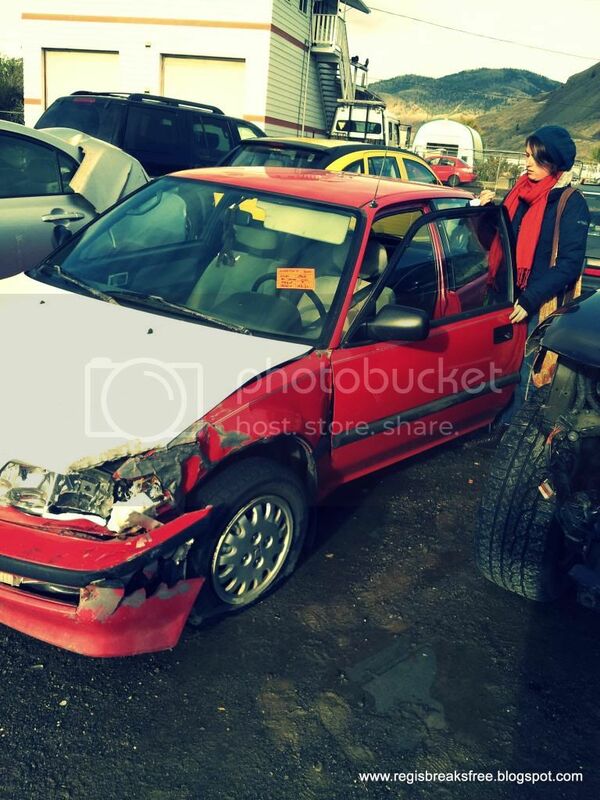 It could have been a lot worse, but seeing as Peppy was so old, the insurance company just wrote him off. Not worth fixing. Poor Peppy! In the photo you will notice Regis hanging from the rearview mirror. That was his hangout spot for many years. It was about a week after the accident that I was able to go and pick him up from the wrecking lot. Poor little monkey was nearly frozen and severely traumatized. Now he suffers from abandonment issues. It was sad to say goodbye to Peppy. He was old and not very flashy, but he was mine and he ran pretty good most of the time (thanks to my Dad). After he was gone I didn't know what I wanted. I looked at CRV's, Jetta's, even a couple Sunfires. I almost ended up with a newer Civic...but nothing seemed to work out quite right. Until Samantha. 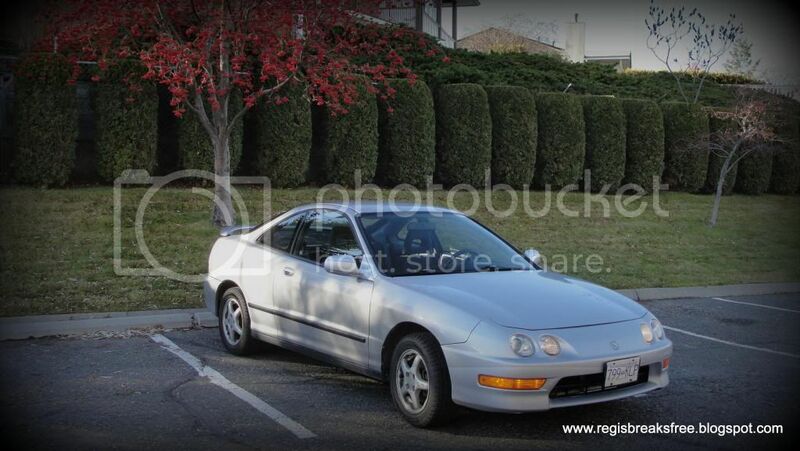 A 2001 Acura Integra, she is quite a lot younger than Peppy and a whole lot prettier. I enjoyed the test drive, but loved the fact that the previous owner had named her already (for the record I did not base my decision on that). I would never have thought of the name myself, but it does suit her, doesn't it? Regis has happily taken up residence in his usual spot. I am appreciating having an adventure-mobile again. Yes, Samantha is very pretty and suits you just fine. As for Regis, you might want to consider some sort of therapy for the poor creature.